Oracle has released a fix for security alert CVE-2010-4476 — the “Java Hangs on 2.2250738585072012e-308 bug.” The fix comes in the form of something called the FPUpdater Tool, which updates rt.jar. I tested it on my Windows XP system and it works. Updating files. Please note this can take several minutes to run. Allow FPUpdater tool to complete. Moving working copy of rt.jar back to live rt.jar. After executing FPUpdater twice, both the runtime and compile time hangs were fixed. The source code for the fix is not available yet, but I’m told it will be soon. The fix updates FloatingDecimal.java, but I don’t know if it is the suggested fix. I’ll keep you posted. Testing subnormal powers of two. I’m not sure if this means the testcase is wrong, the fix is wrong, or I did something wrong. I’ll investigate. |Update: I submitted a bug report: see Java bug report 7019078 and my article about it. Is this bug applicable to earlier jdk versions 1.4.x and 1.5.x ? Does “FpUpdater” patch relates to this versions? Yes, the FPUpdater seems to work with 1.4.x, 1.5.x and 1.6.x. This seems to affect OS X as well? Don’t suppose Apple have acknowledged it yet have they? A reader of mine says it affects OS X.
I received the critical update from Oracle, but the Oracle FPUpdater tool only works for Oracle Java [vendor]. I have Java 1.4.2 from IBM and have been trying to find info/patch from them. Does anyone know of an IBM fix for this issue? I only asked about WAS 6.0, 6.1 and 7.0. I don’t know whether there is a separate fix for the JDK. AFAICT, the fix works fine. i am unable to find fpupdater.jar from oracle’s website. Please tell me from where i can download this jar. The bug is over five years old, so it looks like they decided to redirect the link to the latest version of Java. 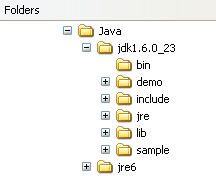 i am using jdk version 1.6_35. This issue is fixed in this verison ? I don’t know but I’d assume so. You could try running the testcase to see if it hangs.